This major new anthology of Anglican spiritual writings was compiled by a trio of the Church's most widely respected scholars.< br> The selections demonstrate by example the Anglican tenet that different strands of spirituality can be held together in a creative tension that enhances the overall strength of the church. 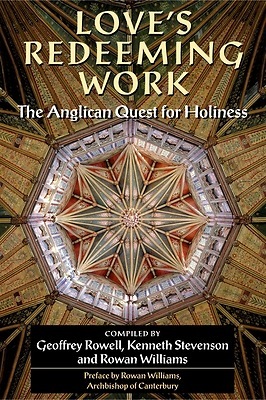 Their variety reflects the worldwide nature of the Anglican communion and includes men and women authors from< br> such places as the United Kingdom, the United States, India, Australia, Sri Lanka and Tanzania.< br> This volume is a shining witness to the impact that Anglican spirituality has had on Christianity throughout the world. Featuring a broad spectrum of literary genres (letters, devotional essays, poetry, reflections on the Scriptures, etc.) it will make a superb reference work.